There's something magical about doing an activity that sneaks in important math skills like, 1:1 correspondence , counting, and number recognition! It takes the 'pressure' off the kiddos to perform and allows for plenty of fun at the same time. 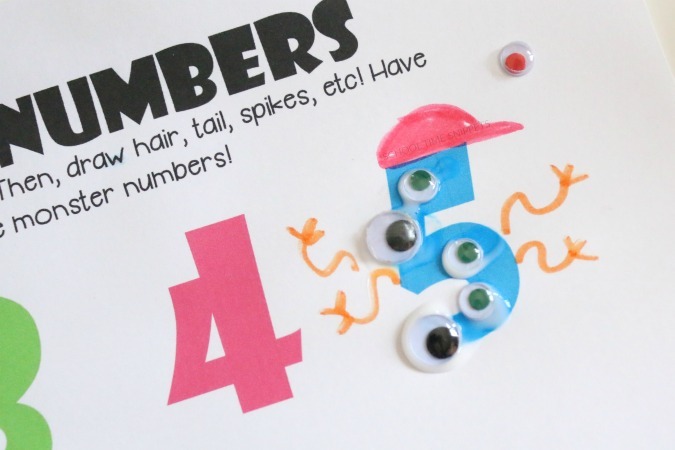 We've shared plenty of activities that sneak in some sort of educational concept, and this Number Monsters Printable is no different. The most well loved activities around here have been games and activities that allow for lots of creativity. While reinforcing numbers, 1-10, your child will have a blast creating their own not-so-scary number monsters! Begin by gathering all your supplies. With your child, count out the numbers on the printable. 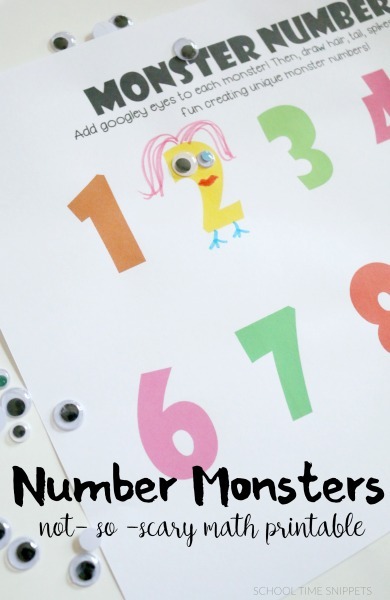 Using the googly eyes and markers, transform your number into a monster. Once you glue the correct amount of googly eyes to a number, get creative! Use your imagination to create a unique and one-of-a-kind monster. Add hair, tail, spikes, horns, mouth, legs, etc. etc! Our Number Monsters was a collaborative effort between me and my 3 1/2 year old. I loved how he started doodling on number 9 and his marks reminded me of robot arms! Number Monsters makes it so that monsters nor math have to be anything to be afraid of! 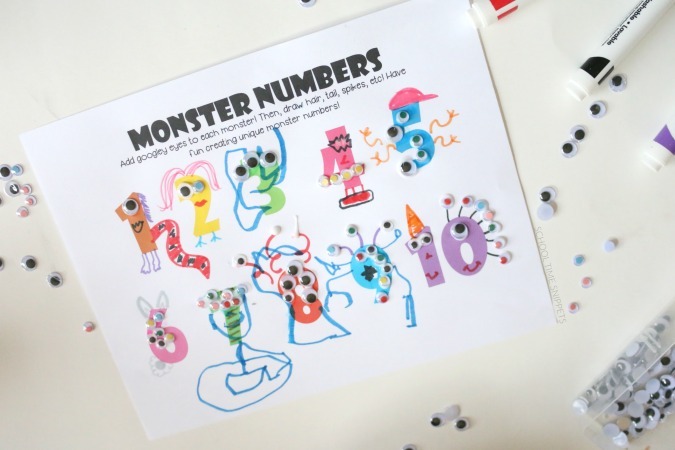 Click the link to download and print the Monster Number Printable to begin creating your own number monsters! * do not copy, distribute, alter, or sell this printable in any form.